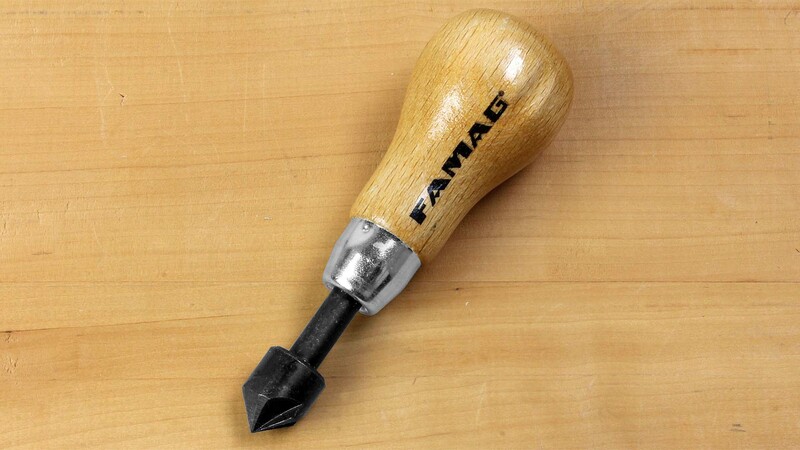 FAMAG Countersink High Speed Steel Made for metal, but good results in hardwoods too. 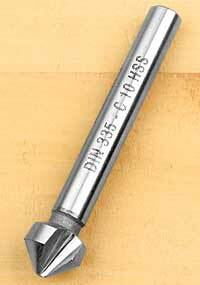 One often uses relatively large countersinks when working with wood, even if the screw heads are small. Occasionally this may spoil the look of the workpiece surface. There is no need for this. 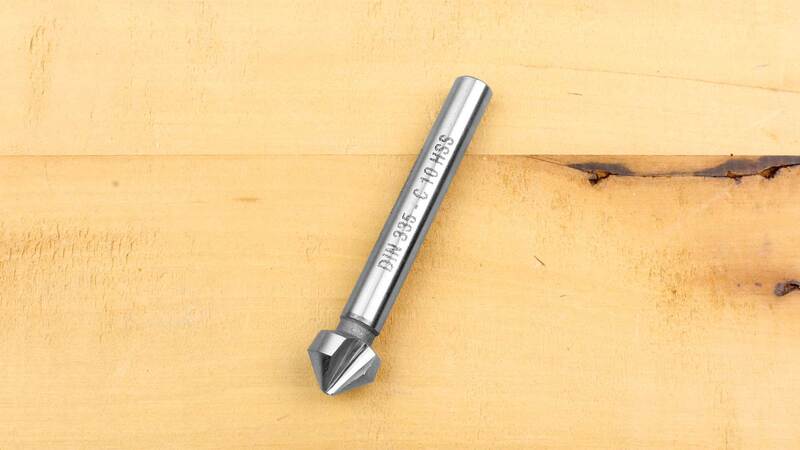 A smaller countersink can do the job just as well. 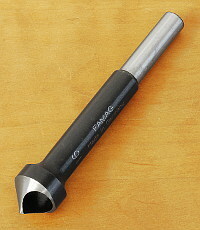 A smaller countersink is also indispensable wherever space constraints preclude the use of a countersink with a large diameter. 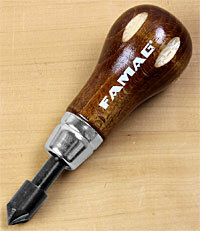 Essentially for metal, but also good results with hardwood. Klein Adjustable Countersink These compact Klein countersinks with tungsten carbide blades are adjustable to take any drill bit between 3 mm and 7 mm. 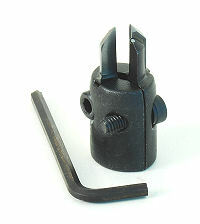 The 90-degree cutting angle is made for flat head screws. Famag Adjustable Countersink Vario 90 Often when one needs to drill and countersink in one operation, the right countersink turns out to be back at the shop, or in the other toolbox. 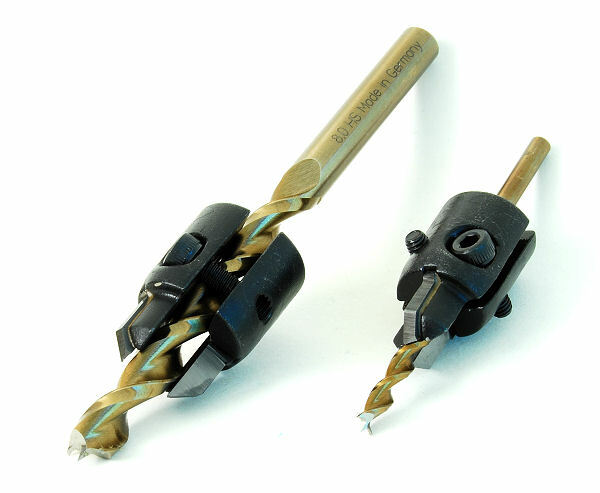 These compact Famag countersinks are adjustable to take any drill bit between 3 mm and 8 mm. 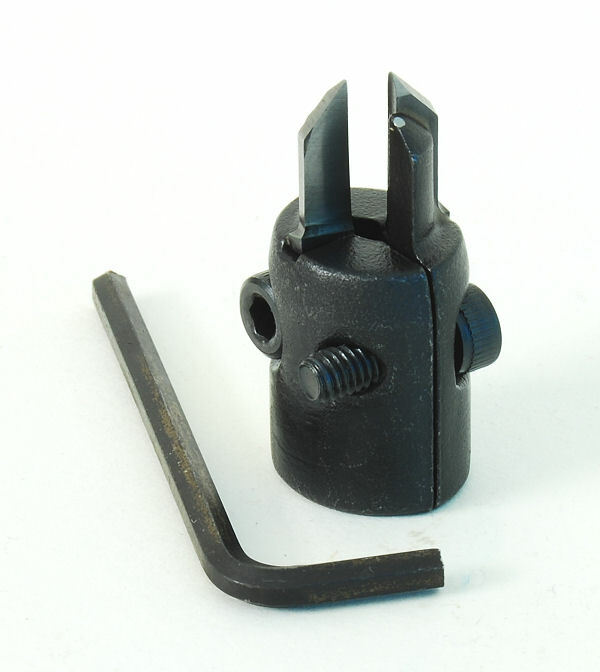 The tool consists of two half-shells, which can be quickly and easily tightened around a drill bit using two screws and an allen wrench. The drawing to the left shows the different degrees to which one can counter sink holes. 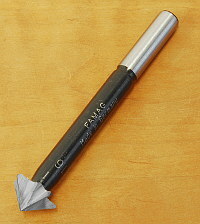 The 90-degree cutting angle is made for flat head screws. 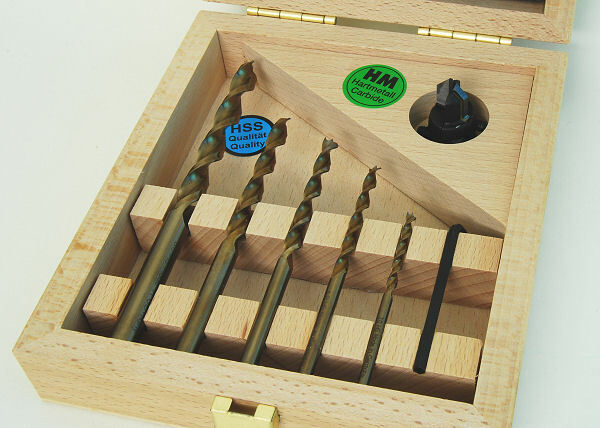 The adjustable countersink is ideal for quickly and efficiently installing a hardwood deck, for instance. 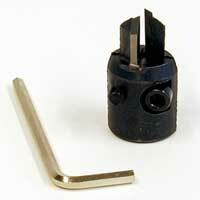 Directions: the countersink head is easy and quick to install onto a drill bit. 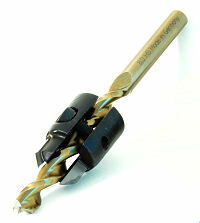 The inside walls of the head are shaped to assure the head is properly aligned with the drill bitÕs shaft. One simply slides it over the bit, adjusts it for depth, and then tightens everything up with the two screws. 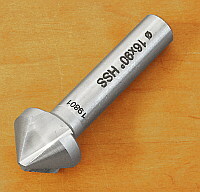 When using 8 mm bits, one has to thread them into the countersink head from behind, as the screws are not long enough to allow the two halves to separate far enough to take the 8 mm shaft. Click on the photos to enlarge them. 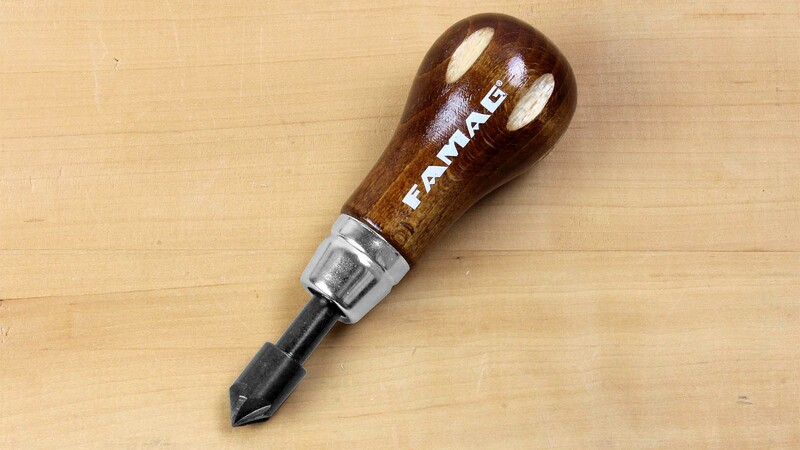 Famag Adjustable Countersink Vario 180 This tool is basically the same as above but cuts a flat-bottomed or 180-degree countersunk hole for bolt heads and nuts and similar fastenings. 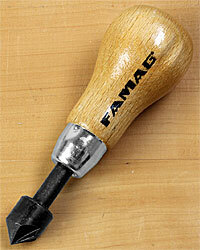 With this you can make tearout-free straight holes in all types of wood and wood-composite materials.